Country Scene Saddlery sources and supplies quality saddlers, horse rugs and accessories such as grooming products, boots, harness racing products and ropes. Mulders Saddlery provide riding clothes and accessories including boots, clothing, horse rugs, race gear, saddles and safety vests. 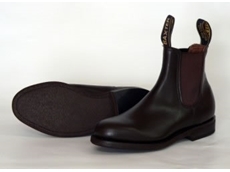 28/10/09 - Mulders Saddlery offer quality tough outdoor boots, clothes and saddlery in their Melbourne based store and online.